Have you ever tried to capture an exquisite scene with your camera only to get home and be disappointed with the results? Who hasn’t? Help has arrived! I am proud to announce a brand new section called “Photographing Sedona” on Hit the Trail written by award-winning Sedona photographer and author Larry Lindahl. Larry’s work has been published in Arizona Highways, Outdoor Photographer, Southwest Art, American Archaeology, and many more prestigious publications. His award-winning book, Secret Sedona: Sacred Moments in the Landscape, is now in its 7th printing. Larry’s work is currently on display in a traveling Smithsonian exhibit called “Lasting Light: 125 Years of Grand Canyon Photography.” The photographs from this exhibit are also available in a beautiful book of the same name. His most recent publication, Arizona Kicks on Route 66, photographed by Lindahl and written by Roger Naylor, has the best photographs and the most wonderful travel writing on Route 66 in my humble opinion. Although the tips are geared towards photographing Sedona, many of them work for Grand Canyon and other subject matter as well. Some of the topics include Where to Go, Capturing the Landscape, Sedona Photo Hikes, Should I Bring a Tripod?, Sedona Seasons, Urban Sedona, Wildflowers in Sedona, Ancient Sedona, and others. Larry has lived in Sedona since the early 1990s and has become intimately familiar with its moods, seasonal changes, weather patterns, lighting, and the best places for photos. 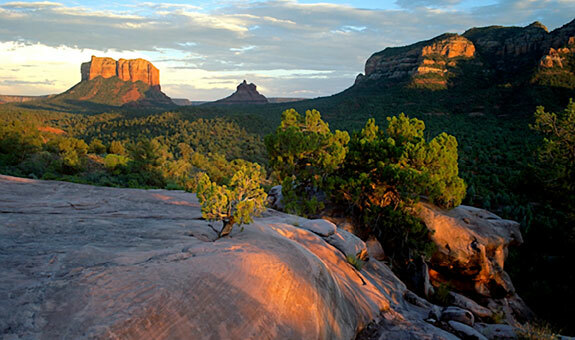 Take advantage of this knowledge for your next trip to Sedona. I’d also like to mention that Larry is a Grand Canyon Field Institute instructor and also leads personalized outdoor workshops for individuals and small groups in the Sedona area. If you’d like to find out more about any of these, visit his website. www.LarryLindahl.com.